Jog Pace Post: #GOODmusic | my bike. my city. my mission. my bike. my city. my mission. Take this song with a grain of salt. It’s not meant to be taken seriously. When a song tells you to “Go Stupid,” do just that. Reason I’m bringing up this song? 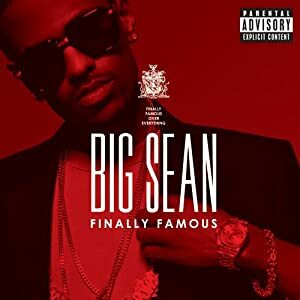 Well Big Sean’s Finally Famous album dropped today and I’m thoroughly impressed. I didn’t think much of him until I heard his new album. He has the hard knock story of trying to make it in the business, the production of the tracks are impressively mastered in comparison to his mixtapes and his delivery makes you nod your head leaving an impression. Kinda like did when he laid his first freestyle in front of Kanye. Therefore joining the G.O.O.D Music family. So back to my topic – if you can keep pace with the clap beat, you’re set for a good run. I think I replayed this song 3 times during my jog just to stay motivated and keep on a pace. Hit the bass and snare rhythm on this one. What is your pace track?